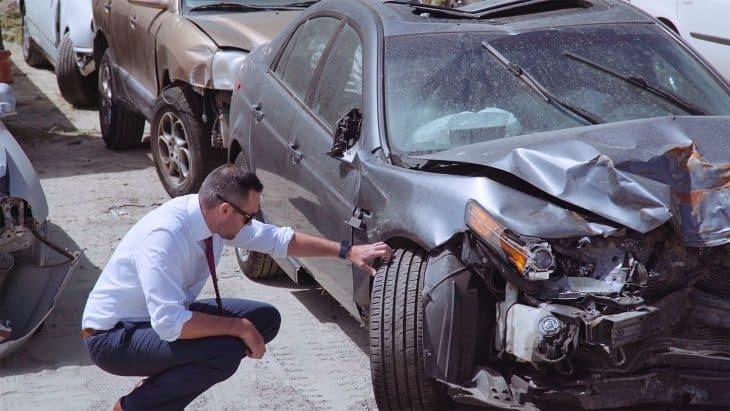 When you are injured in an accident, it is always ideal to try to settle with the insurance company before your case has to be escalated to a personal injury suit. But, just because you are in the beginning phases, that does not necessarily mean that you shouldn’t have someone to defend you. Although you might be able to handle it on your own, that does not always mean that you should, especially when there is so much riding on your settlement offer. Hiring a personal injury attorney is always a good idea to protect your interests, but other signs can’t be ignored that scream ‘now is the time!’. If you are dealing with an insurance company and you have any of these things happen to you, don’t wait it out, hire a slip & fall lawyer in Santa Ana today. You are being asked to discuss the specifics of your accident with the insurance company. An insurance company is like any other business; they want to make money. The way that they can save on costs and increase their bottom line is by limiting what they pay to those who are claiming injuries. Sad but true. They also benefit from finding a loophole or an inconsistency in your story to deny your claim altogether. The insurance company’s interest is not to make sure that you get all that you are entitled to, in fact, quite the opposite. If they are asking to have a meeting to discuss your accident, it is time to hire a lawyer. Do not make any statements either verbally or in writing to the insurance company before you (at a minimum) consult a lawyer. Ideally, you should make sure that one is present before you subject yourself to any questions at all. If you are in the midst of a personal injury suit that seems to be dragging out forever, there is a reason. There is a statute of limitations that you have to claim both personal injury and medical malpractice. If that timeline runs out, then so will your ability to collect. If you are getting nowhere with an insurance company or purposely being ignored, then it is time to hire an attorney. If you don’t act on your claim and file a lawsuit hastily, then you are going to be the one who has to foot the bill for your injuries. The insurance company does only one thing; deals with claims and litigation. So, they have a team of experts who know what they are doing in all cases and scenarios. Since you are just one person, it hardly seems fair that they have endless resources to stall, deny, and try to find a way to limit what they have to pay you. To make things fairer and more equitable, and to not be pushed into taking a settlement offer that isn’t in your best interest, it is a good idea to have a personal injury lawyer at your side to guide you. They have an entire team in their corner; you need someone in yours. The insurance company is questioning your injuries or the extent of them. If the insurance company is asking that you submit to a third party examination, then there is a reasonable likelihood that they are trying to show one of the following: that you weren’t injured the way that you said you were, that your injuries aren’t as significant as you claim, or that your injuries are fictitious. Before you subject yourself to having a third party examination, know what your rights are, and make an informed decision about whether or not a third party examination would help or hurt your case. A personal injury lawyer can guide you in the right direction while advising you away from making any mistakes. With so much riding on your settlement offer, it is vital that you have someone to defend your best interests. The insurance company isn’t your friend. Their primary objective is to try to limit what they pay you. Insurance companies will fight not to give you all to which you are entitled. Instead of trying to do it alone and risk jeopardizing your case, hire a personal injury lawyer to guide you through the process. A personal injury lawyer will make sure you are taking the right steps and avoiding the wrong ones.